Here a really young speciment of fruit and the oddly externally attached encased nut. A couple of different sizes of fruit on the tree, and other ungerminated? flowers in the bunch. The fruit goes from a light green to a ripened yellow or yellow orange. 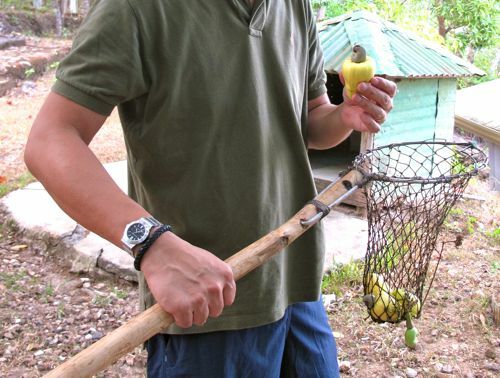 We managed to gain an invitation to someone’s backyard on the outskirts of town where they had several dozen kasoy or cashew trees, and I was able to harvest a few with the aid of a really long pole with a net basket at one end of it. Fruit, General, Other Food Products, Kitchen Equipment, Etc. I just dip the lower half part of the fruit (where the nut is attached) on course salt and it’s heaven! We used to visit Palawan every Summer as I was growing up -specifically Brooke’s Point and we would spend our summers there with my mother’s siblings and my cousins. I love the simplicity and the hope that it gave me -that I could go out side the house of my uncle and climb and pick fruits such as mangoes, ciriguelas, kasoy, langka, cocunut, and ton’s of other fruits -right behind their house…then walk a few meters and start swimming in the beach…indeed-Palawan is one of the last frontier of the Philippines. 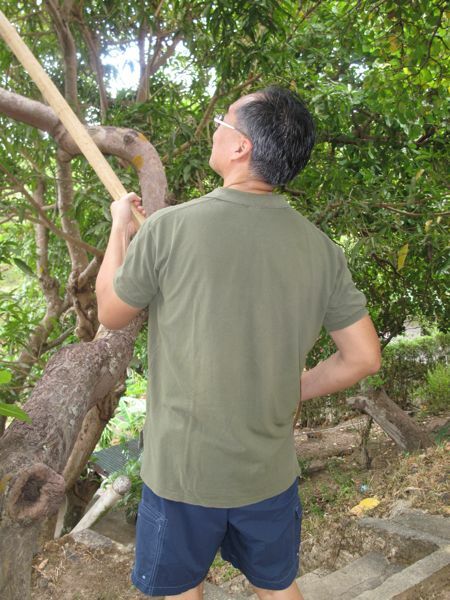 This post brings back memories of boyhood when we would go around the small tree orchards near the house in our then very young subdivision in Cainta, Rizal. There was a small hill near our house, haunted they use to saysay ( the wooden walls of the makeshift houses had all these white painted crosses, supposedly to ward off bad spirits, and there was talk of a white lady roaming at night). The ghost stories did not stop us from exploring. 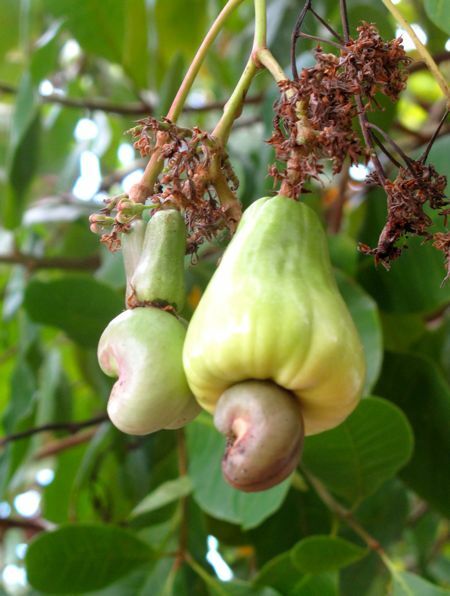 That was when I first saw cashew trees, the memorable scent that wafted in the air around the trees and harvested fruit. 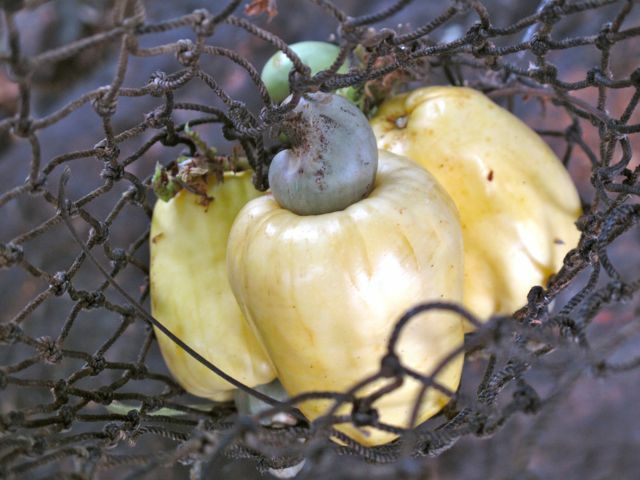 I remember seeing the harvested fruit inside the huts, asking the people who lived there for some and tasting the cashew fruit for the first time (not the so-called nut, but the yellow “inflated balloon”-as you described it in a previous post that carried the nut in its tail) . The fruit caused an itch when eaten, but the flavor was a wonderful sour-sweet one with a unique and pleasant smell. I remember the taste and smell even today, around 40 years after. I vaguely recall reading a few years ago that the fruit has some poison if eaten unripe (or too ripe?-senior moment). And yes, it causes an itch (temporary, I recall). But if you get a chance to eat the fruit, I’d say it is worth doing “at least once in a lifetime”. That hill has since been bulldozed to make way for residential development. The spirits and the “white lady” have already probably been driven away. But the memories of that hill and the surrounding areas remain, of witnessing a goat give birth, warm fresh carabao milk delivered to our home, picking “kuhol” from the rice paddy almost beside our house and balancing on the narrow soil that divided where the farmers walked, picking mangoes, kids’ hiking adventures, and the wonderful taste of cashew fruit. Palawan’s cashews are the best in the world! wew, next to almonds kasoy is a great fave. slice the fruit at ibabad sa cold water with salt… delicious! The cashews look great. I’ve never sampled the fruit part, curious what it tastes like. Thanks, MM. Learned something new today. 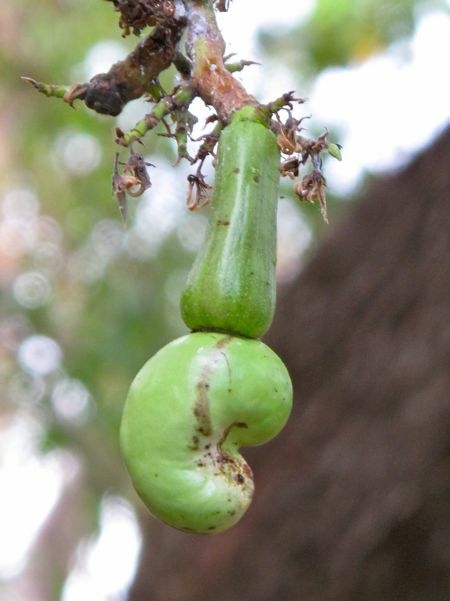 This is the first time I’ve seen a picture of a cashew nut still hanging from the tree. Now I understood the Tagalog riddle on kasoy-prinsesang nakaupo sa tasa!!! For kasuy lovers, cutting the flesh in cubes, shaking them in a jar with salt and eating them by the moundfuls is simply heaven. Nevermind what happens on the john the next day or the day after that or even the day after that! My, MM, you have shrunk! Please do not get carried away. You look just fine! Are you trying to get back to your varsity days size? Some think it obscene when a guy your age don’t have even a little bit of a paunch to show. They make a confection out of casuy pulp that’s similar to fruit leather in Brazil and I was so intrigued I had to taste it and I shall never forget the experience. It was that moving. Can somebody tell why a multitude of the flowers didn’t get germinated? It is a pity to see a kasoy fruit hanging alone from it’s “pungkit”. They should be “kumpol-kumpol”. the fruits are delicious. Palawan cashews may be smaller but more flavorful.. Balubad!!! Ah, this post brings back childhood memories. mm, you might also want to try the red variety cashew. it is more crunchy than the yellow one. Hi MM, the last time I ate a fresh kasuy fruit was more than a decade back, but I can still remember how it tastes. 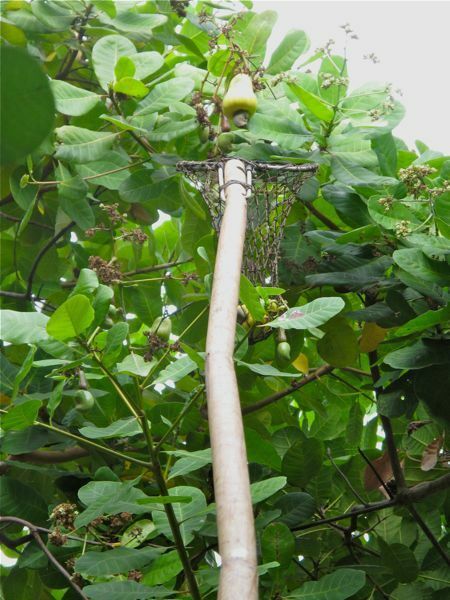 One new info I learned from some of my friends from Batangas is that that talbos (shoots) of the Kasuy tree is also edible. They said they eat it like talbos ng kamote or sayote, so Im thinking its blanched/steamed the served with a sawsawan. Never really got the chance to try this or even ask around if this is indeed true or I was at the end of a gastronomic joke. The first and last time I had kasuy fruit was in CDO at age seven. I think I got one that wasn’t quite ripe yet as it made my lips turn red and very, very itchy. I don’t think I have the courage (yet) to try again. But those nuts? Yes please! How Many Breasts Does a Chicken Have?? ?